Only three episodes into its third season, NBC just broke the terribly depressing news yesterday that they’ve officially cancelled the exceptional TV series Hannibal. Once the third season wraps up in September, Hannibal Lecter and friends will be ousted from the network, and all of us here on Halloween Love can only hope that they soon find a new home elsewhere. As upsetting as the news was, and in fact it’s still today a bit hard to swallow, I’d be lying if I said I was in the least bit surprised. The second episode of Hannibal‘s incredibly artsy third season garnered historically low ratings for the show, and it seemed like it was only a matter of time before NBC pulled the proverbial plug. The writing was very much on the walls, so to speak. Truth be told, the writing was on the walls way back in 2013, when Hannibal premiered. Right out of the gate, it was clear that NBC had put a lot of faith in creator Bryan Fuller, and it was frankly unbelievable how much creative freedom he seemed to have with the show. Incredibly violent, artistically beautiful, and intelligent almost to a fault, it was immediately clear that Hannibal wasn’t like other TV shows. In a TV landscape dominated by reality shows and dumbed down entertainment like Sharknado, Hannibal seemed to be single-handedly carrying the torch for small screen artistry, boldly blazing its own path and bringing a whole lot of class to NBC. 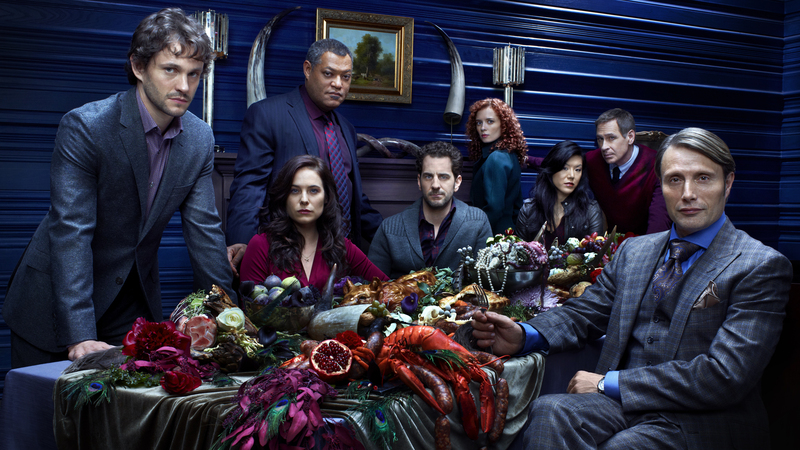 And Hannibal, if we’re being honest here, was always too good for NBC, feeling like a show that belonged more on a premium network like HBO or Showtime. It’s strange to think that a show could be so good that its high level of quality could actually lead to its cancellation, but if you’re asking me, that’s precisely the fate that has befallen Hannibal. For years I have been saying that the show is too smart, too artistic and too violent for mass consumption/appreciation, and the declining ratings as well as cancellation only serve to bolster this argument. And again, I can’t say I’m surprised when it comes to the specific timing of this one. Kicking off just a few weeks back, Hannibal‘s third season is thus far the most artistically unique season of them all, and the rock bottom ratings are an indication that many simply gave up on the show in the wake of it ditching the easier to digest killer-of-the-week formula. The final nail in the coffin, as they say. The silver lining here, if there is one at all, is that Hannibal made it as far as it did. I was surprised when the series was renewed for a second season and even more surprised when it was renewed for a third, and I can’t help but be happy about the fact that we still have 10 episodes to enjoy, in the coming weeks. Those episodes are merely the final gift from a show that has been a gift all along. More than a mere gift, Hannibal has quite frankly been a miracle these last couple years. It’s a miracle that NBC gave the show a green light in the first place and it’s especially a miracle that they gave Fuller and friends three full seasons to play around with Thomas Harris’ novels. 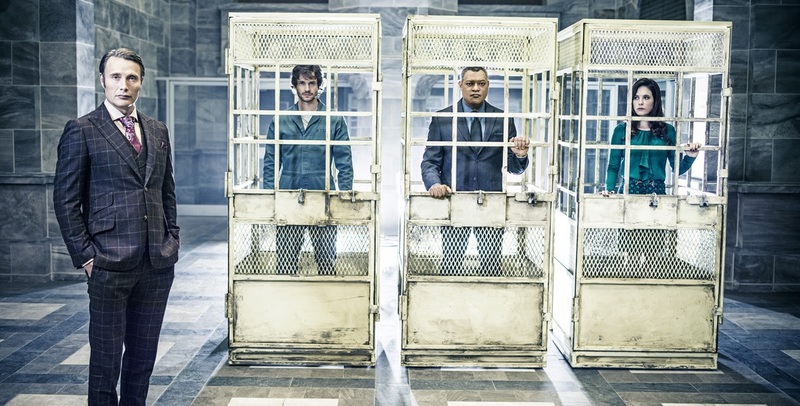 Hannibal is a show that always seemed destined for cancellation, so I’ve chosen to celebrate its triumphs this week rather than mourn its loss. To fully appreciate what Hannibal brought to the table, we must look to the past. Many fans of the character felt that the best adaptations of Harris’ novels were long behind us, and 2007’s Hannibal Rising only seemed to confirm that. The general consensus was that Anthony Hopkins was the only actor fit to play Dr. Lecter, and it seemed for a while that we’d just have to make peace with that fact. And then Bryan Fuller came along, injecting such a wholly unique vision into the source material that his Hannibal felt like no adaptation we had ever seen before. Serious credit must of course be given to Danish actor Mads Mikkelsen, who accomplished the seemingly impossible by bringing a Lecter to the screen that was completely and totally beyond compare to the most iconic depiction of the character. 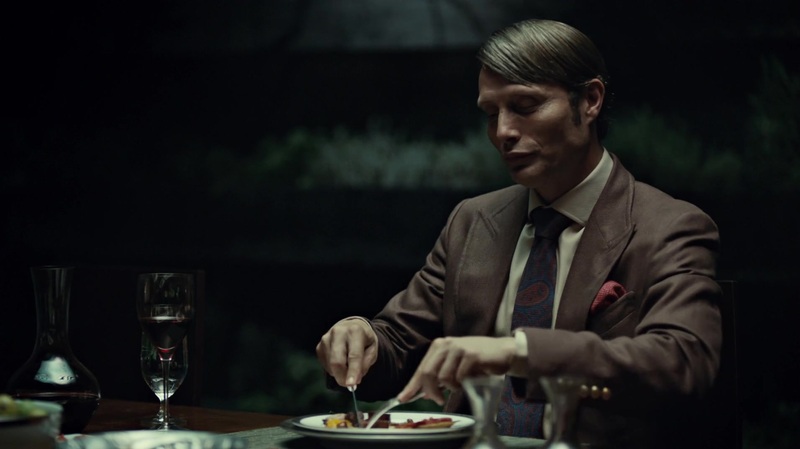 I mean this as no slight to Anthony Hopkins, but when I hear the name Dr. Hannibal Lecter nowadays, the first images that pop into my head are of Mads Mikkelsen. Incredibly likeable while also being intensely terrifying, Mikkelsen’s Hannibal is one of the best villains in TV history, and his twisted relationship with Hugh Dancy’s Will Graham one of the most fascinating small screen “romances” of all time. Hannibal, these past couple years, has been nothing short of a television triumph, and I encourage everyone reading this to put down the pitchforks and stop with the petitions. Let’s be thankful that NBC gave the show so much time to find its audience, and let’s also refrain from lobbing tomatoes at the network for cancelling it. After all, it was only cancelled because that audience just wasn’t found. So instead of signing those petitions and placing demonic curses on NBC, I ask you to sit back and enjoy the final 10 episodes that we’re lucky enough to still have ahead of us. And besides, there’s a good chance that Hannibal will be picked up by another network in the near future, perhaps one that’s more suited to its particular brand of entertainment, so have faith that things will work out as they should. For now, Hannibal‘s cancellation by NBC only serves to solidify its status as one of the best horror shows in the history of television. Only in death do you truly become a legend, and now that this body is starting to get cold, I think it’s safe to say that we can now fully appreciate the fact that Hannibal was indeed a legendary slice of small screen entertainment – likely to be enjoyed and studied for decades to come. I give my sincerest thanks to Bryan Fuller and everyone involved for giving such loving care and attention to a franchise that was seemingly dead in the water, just a few years back. And thank you also to NBC for taking a chance on a show that most networks would never even consider airing. I’ve savored every last bite of this tasty meal, and I will continue to do so in these precious final weeks.